The love of collecting Pez candy dispensers often leads into a realm of specialization that to a non-collector may appear to be only the accumulation of numerous duplicates. But, for a Pez aficionado the seemingly endless variety that can be found just adds fuel to the fire of collecting. Variations in Pez dispensers can range from very subtle to very distinctive differences in design and color. Most Pez collecting guide books recognize only a significant change or difference in a particular Pez dispenser as a variation. However, some collectors choose to acquire Pez dispensers as variations even if there are only slight differences present. Informed collectors are familiar with the usual variations that are listed in most Pez collecting guide books. These variations usually consist of major differences in color for the character head parts and/or differences in the Pez dispenser stem. Variations can occur due to different molds being used in the production of the same character head or stem, and due to changes in dye used for coloring the plastic or in the paint applied. Also, apparently the Pez company frequently improves and changes the construction of the Pez dispenser, resulting in many variations in the stem and its component parts (springs, candy pusher, inner sleeve) both for the vintage as well as the recent dispensers. Color variations appear to be the most sought after, especially for the vintage footless Pez. For example, the Pony-Go-Round Pez and the Fat Ear Bunny can be found in numerous color combinations and are extremely popular. 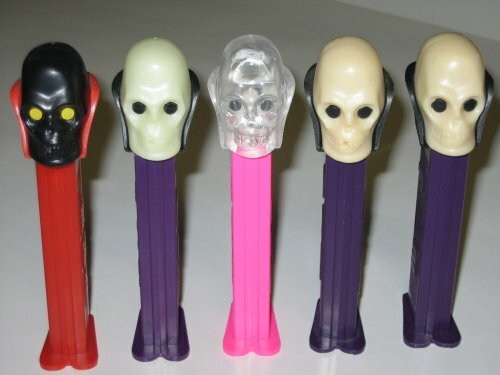 Some Pez dispenser character heads were made in a multitude of design changes that make collecting all the more interesting. Donald Duck A can be found with numerous variations in head design. Likewise, the Mickey Mouse Pez has experienced multiple versions over the years and includes numerous variations in each design. The degree and number to which Pez variations can be encountered is excellently described and pictured in the following websites devoted to Pez variations: http://www.pezcandydispenser.com/ and http://droflet.net/variations/ Due to the interesting and valuable information offered, these websites are a must see not only for anyone interested in collecting variations but also for anyone generally curious about Pez dispensers. 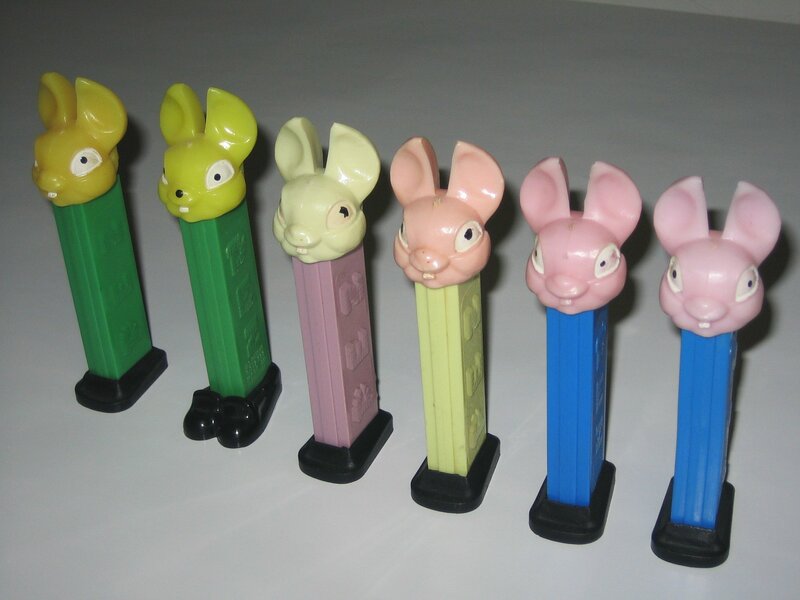 The more easily attainable Pez variations are those that have been recently produced. Snoopy with closed eyes & open eyes. Woodstock with painted feathers & un-painted feathers. Lucy face paint variations. 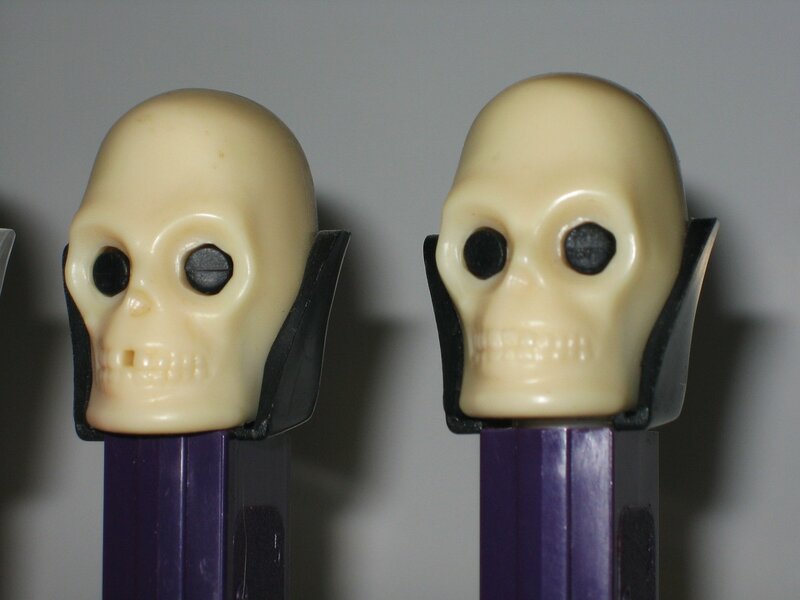 Occasionally Pez variations occur during production (some collectors call these errors) resulting in very interesting differences. For example, the original Valentines Heart and Donald Duck C (current) each has a stem variation which has the word PATENT written as PA ENT. Also, in the newer Valentines Hearts series there is a variation for the Best Friends heart, misspelled as Best Freinds. Probably the most numerous Pez variations that can be collected are those related to stem colors and markings. The original series of Teenage Mutant Ninja Turtles (TMNT) Pez dispensers can be found with different color stems for a total of at least 64 different variations (some collectors argue there are more). The current Funky Faces Pez series offers a total of 65 different stem color variations. Attempting to acquire all the reported stem variations of certain Pez dispensers can become extremely challenging (or for many a very serious headache). When purchasing Pez dispensers for your collection examine them closely and look at their details, soon you too will be hooked on collecting variations.